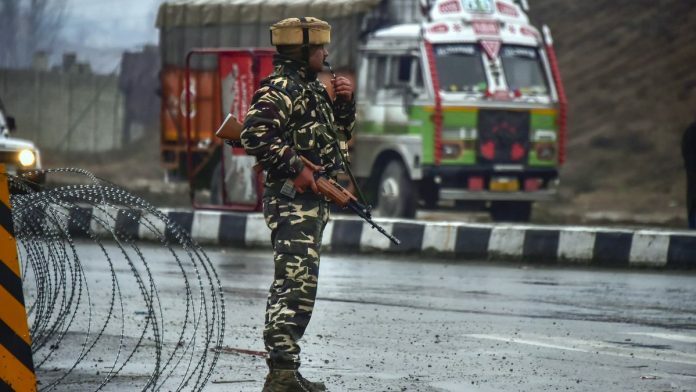 On 14 February, Adil Ahmad Dar—a 20-year-old from Gundibagh village in Pulwama and former sawmill worker—mounted a vehicle-borne suicide attack on a CRPF convoy killing at least 38 jawans. Broadly speaking, Pakistan perpetrates these attacks in Kashmir and elsewhere in India because they help demonstrate that Islamabad has not been coerced into accepting the status quo. However, this general expectation of Pakistani behaviour does not explain the particularly unique features of this attack. What are Pakistan’s strategic aims with this attack? The Pulwama attack reflects an interesting calibration of violence. There are three ways that Pakistan can escalate violence and the salience thereof. The first is the choice of geography. The least provocative venue is within Kashmir while the most provocative locations are the high-value urban targets like Delhi and Mumbai. In between are middle-tier cities beyond Kashmir such as Gurdaspur. Second, is the choice of target. In India, the attacking of security forces seems to draw out more political ire and demands for revenge than when civilians are targeted. Third, is the kind of attack — suicide attacks perpetrated by Jaish-e-Mohammed (JeM), special operations preferred by LeT or the more quotidian uses of explosives against convoys and other acts of sabotage. This attack, in Kashmir, against security forces using an extremely violent attack measure is specifically calibrated to test Prime Minister Narendra Modi’s will with a fraught election in the background. The use of a suicide car bomb has not been used by JeM in some 19 years. And usually, Jaish-e-Mohammed suicide bombers are of Pakistani and Punjabi origin. But Adil Ahmad Dar was a youth from southern Kashmir. Politically, this is a major score given that few believe Jaish-e-Mohammed is a Kashmiri organisation. However, this fact is likely tied to the video that he recorded before the attack. In the Palestinian suicide attacks, these videos served as a mechanism to ensure that the bomber will carry out the attack. In the event that he fails to do so, the organisation releases the video and the security forces capture the fellow or the organisation kills him—whichever happens first. This is the first time that such a video has been used, and I suspect that it likely reflects doubt that Dar would carry it out without this commitment video. However, having carried it out, the video will have enormous payback in terms of recruitment, fund raising and propaganda. For some years, both the Islamic State (IS) and Al Qaeda (AQ) have taunted Muslims in Kashmir and elsewhere in India for not defending themselves against cow lynchings, the political standing of Hindutva organisations, failure to insist upon the rebuilding of the Babri Masjid while discussion of rebuilding the Ram Mandir is ascendant. Both AQ and IS have chided Kashmiri Muslims for being parochial and restricting their vision to the Kashmir battlespace. Both have sought to cast Kashmir as a part of a larger civilisational battle in which India and other countries are waging war on Muslims. Their goal is to establish a caliphate through jihad. While both AQ and IS are competing with each other, they are also competitors for Pakistan’s deep state. Both AQ and IS mock the Pakistan-based and Pakistan-backed militant groups as lackeys of Islamabad. I view this suicide attack, the use of a Kashmiri attacker, and the use of the pre-attack video as an attempt by Pakistan to reassert its equities over the Kashmir dispute specifically and the India problem more generally. This interpretation is buttressed by the statements that Adil Ahmad Dar made in the video. Like AQ and IS, he chided Muslims for their docility and challenged them to rise up. He also had a message for northern Kashmiri Muslims that they need to put skin in the game and stop free-riding off of the sacrifices of Muslims in Southern Kashmir. With Lashkar-e-Taiba involved in Pakistan’s internal battles against ISIS and other groups that engage in takfiri violence (such as the Deobandi Pakistani Taliban and sectarian groups), Jaish-e-Mohammed is likely to be the most common Pakistani group active in India for the time being. The reason for this is strategic. When Pakistan waged war against the Pakistani Taliban, the ISI and the army offered two routes by which Pakistani Taliban could rehabilitate themselves: they could go back to Afghanistan and fight for the Taliban or rejoin Jaish-e-Mohammed and go fight India. Those who demurred would be killed. Both theatres are important for Pakistan today. With the United States withdrawing troops and handing Afghanistan back to Islamabad, there will be great interest in Pakistani Deobandi militants returning to Afghanistan to help the Taliban make more gains. At the same time, Jaish-e-Mohammed is a highly potent and loyal proxy with which to put pressure on India, even as India’s economy continues to grow and invests in the rebuilding of its security forces. India should consider a range of punitive measures ranging from sub-conventional operations against Pakistan’s terror-producing infrastructure as well as political measures such as backing away from the folly of the Kartarpur Corridor even though that is a difficult decision to undertake for domestic political reasons. Denuding Pakistan of its “most-favoured nation” status is way overdue. India can consider downgrading diplomatic ties, ousting the defence attache who is almost always the ISI station chief as well as others in the embassy suspected of facilitating terrorism. India should also immediately declare Pakistan a “state sponsor of terror”, while providing a path to rehabilitation should Pakistan ever bother. It is difficult to ask Washington DC to undertake a designation that India itself has not done. Also read: Revoking Pakistan’s MFN status: Proportionate reply or Modi exploring diplomatic steps first? For the United States, President Donald Trump has used strong words against Pakistan and has even denied them monies that they have taken for granted. While Pakistan isn’t getting the cash, it got the prize — Afghanistan. It would be wishful thinking to expect this attack to educate Trump about the dangers of his policy preferences. However, one would like to think that Washington would consider declaring Pakistan to be a state sponsor of terror, applying sanctions to Pakistani military and civilians for whom there is enough intelligence of aiding terror. It should also press China to stop derailing efforts to list Jaish-e-Mohammed chief, Masood Azhar. Since the United States bares so much responsibility for creating the beast on the border, more than any other state, it has an obligation to slay the very beast it has nurtured. The author of In Their Own Words: Understanding the Lashkar-e-Tayyaba (OUP, Hurst: 2018) and Fighting to the End: the Pakistan Army’s Way of War (OUP, 2014). A brilliant analysis. Christine Fair is one amongst a handful of people who understand the AfPak region. Neither the analysis nor the prescription are convincing. The author has rather poor understanding of the situation but adopts a tone as if a know-all. either you are an idiot. she is an very well known analyst and she has even return a book over pakistani army. Go do some research before barking here! You should try for a specific reply for specific points.